To be fair I couldn't see Glasto booking a glorified tribute band to headline in Queen and Adam Lambert. Yeah, they have all the hits and are banging live, but I just don't see them even entertaining the idea. I can much easier see them booking someone like Stormzy/The 1975 (who you'd have to assume would both be an easy get for Glasto) than Queen + AL. If they'd accept the Legends' Slot then I could see Glasto giving them that, seeing as it's already an absolute cheese-fest most year, but I couldn't see the band accepting anything but headline. Tbh, I agree with you; I can't see it happening anyway because of the badger issue, and even if that were overcome I'm not sure they'd be offered a headline slot. My point is simply, they're a perfect Glastonbury act - lots of hits to sing along to. And yes, they are a glorified tribute act, but one which still has half of the band. Nobody seems overly concerned about FM potentially headlining without their male lead. Several? I'm aware of Sonisphere. Not really an issue at Glastonbury though as it'd be sold out way before they were announced, and I'm 100% sure they'd go down a storm on the farm. TRNSMT this year was apparently a near run thing until they dropped prices by 50%. Even then it was far from mobbed. Great show, mind. Any band that can throw in something as strong as Don't Stop Me Now 4 songs in has a bulletproof setlist. Moot point though. The Eavis - May feud has escalated this year, not resolved itself. Don't think Brian loves badgers that much. The follow up song, The Furry Feller's Master Stroke, goes into a bit more detail. I'm bothered about him not bring there but I can't do much about it. The band have performed though with and without him previously I believe whereas Queen is a bit different. When do we reckon we’ll get the first headliner announcement then? Before Christmas? Radiohead were announced early last time so it’ll be interesting to see if that’s the start of a new trend, or if they just keep it fairly random. Hopefully the early announcement is Radiohead 2.0 with better visuals on the screen. Impossible to guess at, I'd say. In many instances it's been the act that's been booked who has forced the announcement date - so without knowing who they've booked you cannot guess at what factor might cause that act to trigger an announcement. In other instances I think it might have been the festival's choice to announce a headliner before the normal April date - and I'd guess they might have had their reasons for that too, perhaps sometimes as an encouragement for another act or acts to sign up, or for a publicity boost, whatever.  It seems to still be the case that the festival would (in normal circumstances) prefer to hold back all announcements until at least April, as it's been April before many of the headliners have been announced in recent-ish years. My guess, based on nothing but a feeling, is that we'll get a headliner before Christmas. Alright literally what is the point in this alt? Just to post a new wacky lineup every single day in every thread possible? Ah, thought it was about time for jj200 to put on a blindfold, throw some darts at his CD collection and post the results. He just needs the attention. I'm leaning that way too. The festival doesn't really need the extra boost, since it'll sell out instantly anyway, but I reckon they might want to stir up a bit of attention after the fallow year. Plus, if they've had some like Macca or Madge signed up for a while, why not drop it before Christmas? Saw Ezra Furman for the first time at EOTR last weekend. Is he far off getting a decent slot? It was a brilliant set; ordered the new album off the back of it. Macca's doing a few dates around Christmas, might coincide with them. I had been predicting him but he described his Brixton show as 'the last one in the UK for a long while' so I'm not sure if he'll be around next summer. Shame if not. I've never given him time before, stupidly because I always think of the George version every time 'Ezra' comes up; can't stand George E.
The live performance with Ezra's emotinal delivery had me lost for words at times; loved it when he said, 'look at the sky for a moment'...very emotional. Yeah, I was watching The Dance the other wee k and thinking that the Buckingham-Nicks relationship was pretty much the fulcrum of their live shows. To an extent, yes. But it also came with attendant low quality Buckingham numbers in the setlist. Nicks and McVie are probably the more integral members from my POV. I don't think the absence of the Buckster holes them below the waterline. It’s an odd clip that - firstly hearing Neil Finn stand in for LB for the first time, and the realisation that you can hardly hear John’s bass - in the song in which it probably should be most prominent. I'm talking purely in terms of performance here, not the songs themselves. Can't imagine their being quite the same level of sad, messy, historically grounded high drama between Nicks and Neil Finn. Also looking at recent set lists, other than Bleed to Love Her I’m curious which low quality Buckingham you’d send to the knackers?